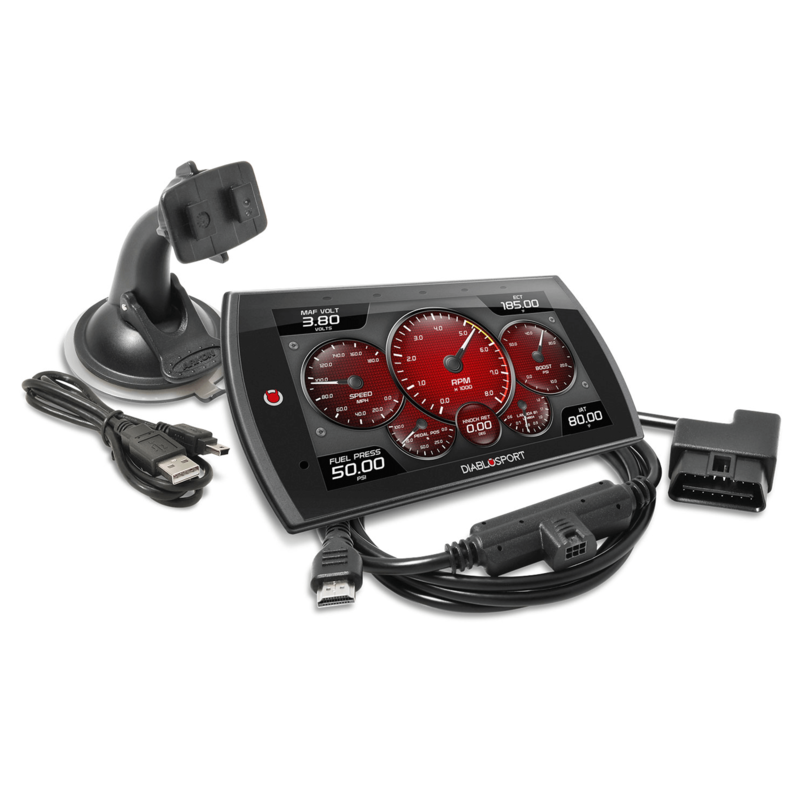 The all-new Trinity (T2) 50-State is the most advanced emissions compliant performance programmer and monitoring setup of its kind. 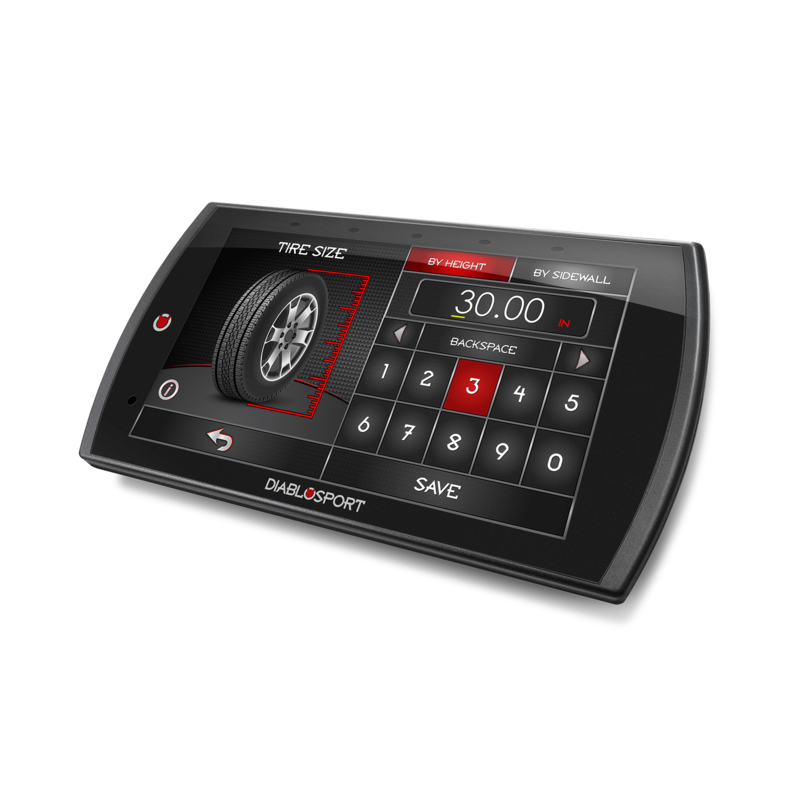 Featuring a high resolution, 5 capacitive touch screen, full swipe functionality, industry-leading gauge designs, jaw dropping power potential and powerful, yet simple, user interface. The T2 is unlike anything else on the market. We understand that there are an increasing number of counties and states that are requiring emissions testing. 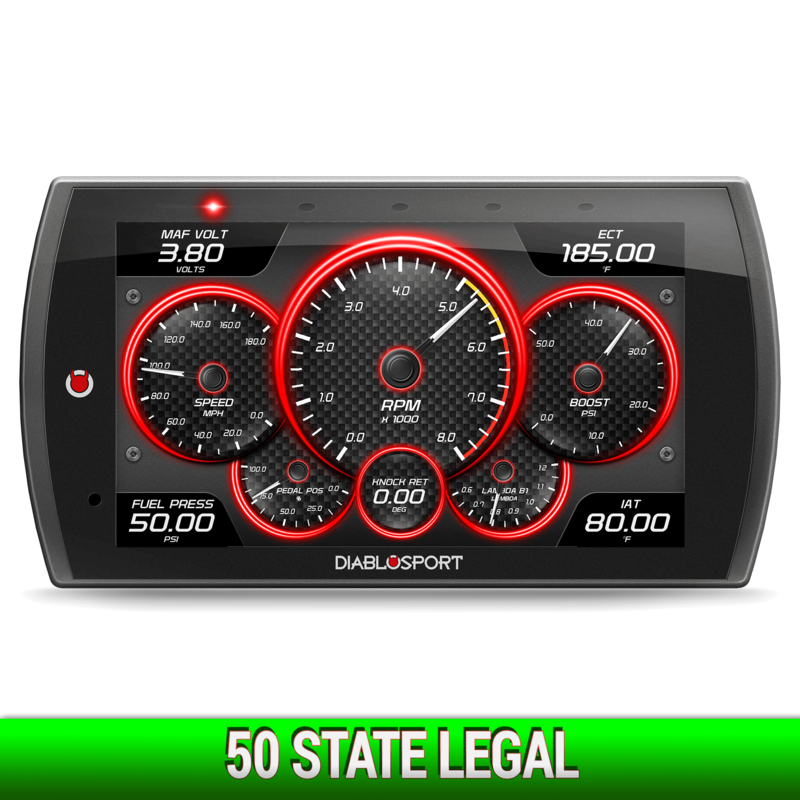 In addition to investing in R&D to deliver a meaningful power and overall performance improvement, DiabloSport recognizes the need for 50-state legal products. We've developed the T2 to include 50-State legal tuning covered by a CARB Executive Order number. Now there is no need to fear your SMOG testing center as you can pass those tests while tuned with Power You Can Feel from DiabloSport. You can run equipped with tunes for daily driving, towing and performance all while maintaining emissions compliance. Trinity 2 (T2 EX) Ford Vehicles is rated 5.0 out of 5 by 1. 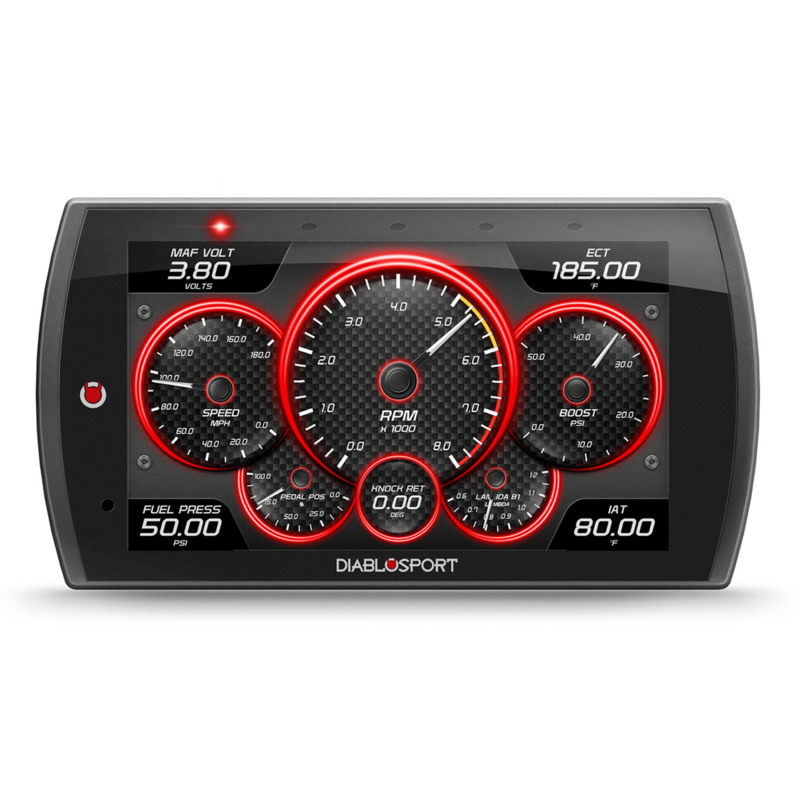 Rated 5 out of 5 by NClark88 from Great Product I bought it to mainly adjust my speedometer for the increased tire size, and that has been very accurate. It helped bring my fuel mileage back into a respectable range. I can also tell the difference with the 87 octane tune. I will eventually use the more aggressive tune. Installation and programming are as simple as plug and play, follow the instruction. No, the unlocked PCM issue is only relevant to Dodge/Chrysler vehicles. Can you tell me how much it will increase my miles per gallon on a 2016 f-150 5.0L ? There are quite a few things that go into that equation so it is very difficult for us to specify something like that. 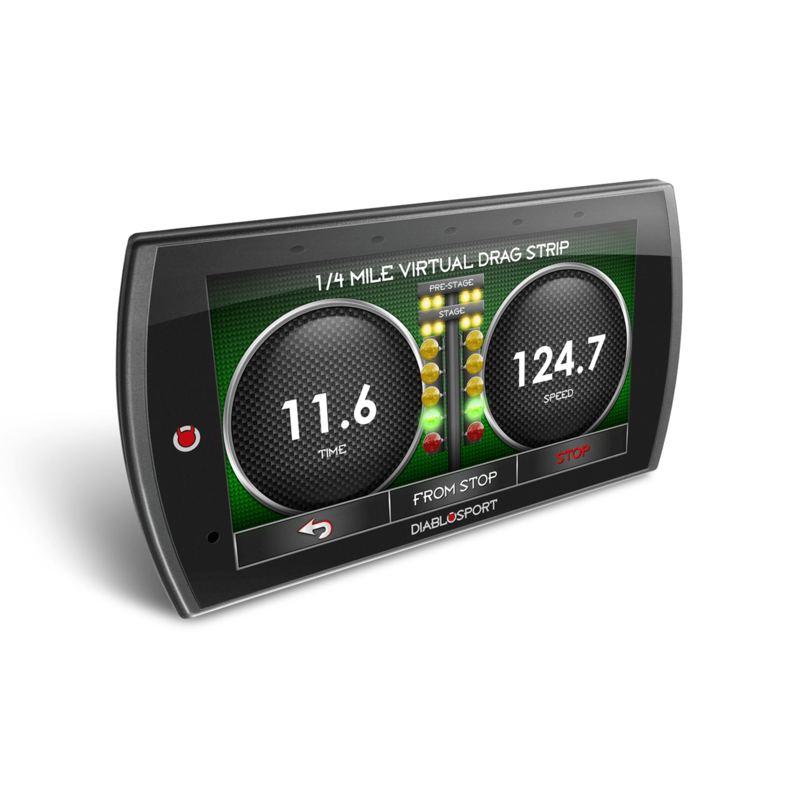 We do hear from customers that they get 1-2 MPG gains when driving conservatively with our tuning. 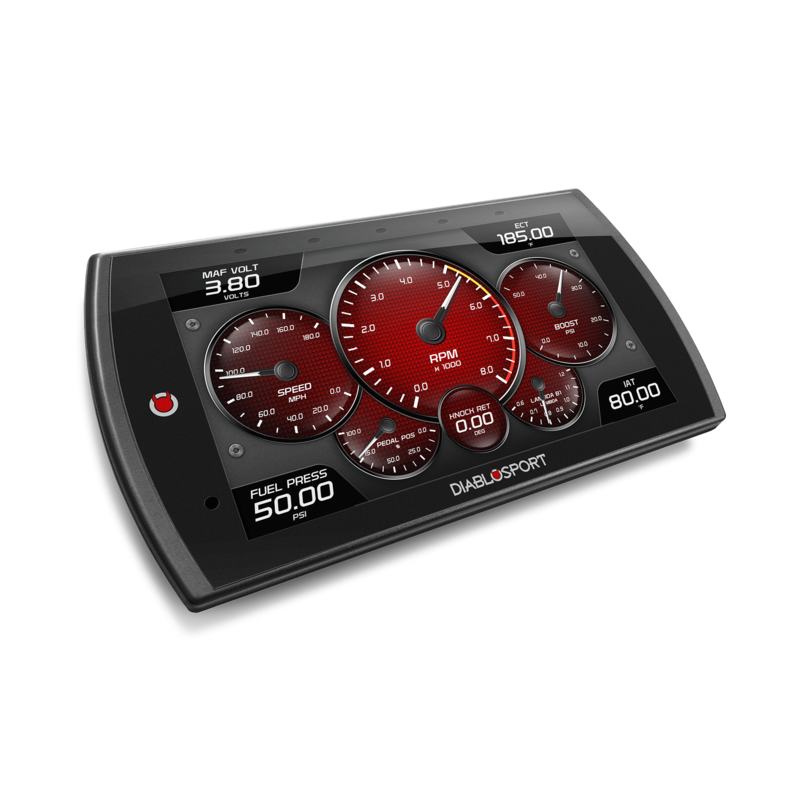 The 9100 will not support that vehicle, however, the 9145 tuner does support that application. Can this product be used for both a 2010 f150 and a 2014 ford focus st? Will this product work on a 2018 Ford f150 stx 2.7 EcoBoost?